Bookable? 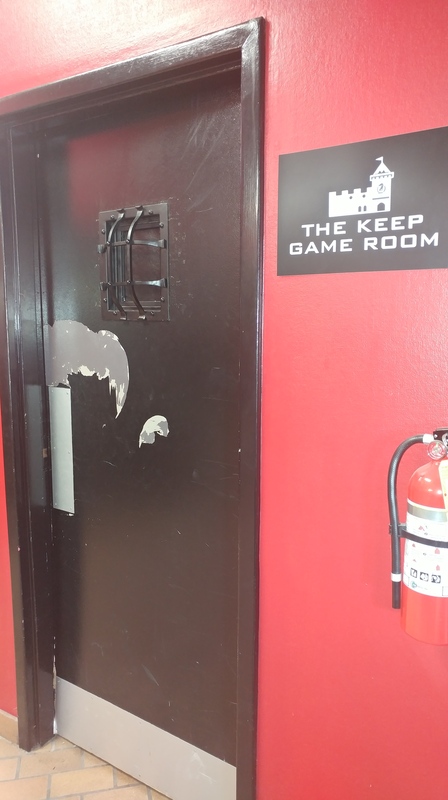 Keep Game Room – yes. 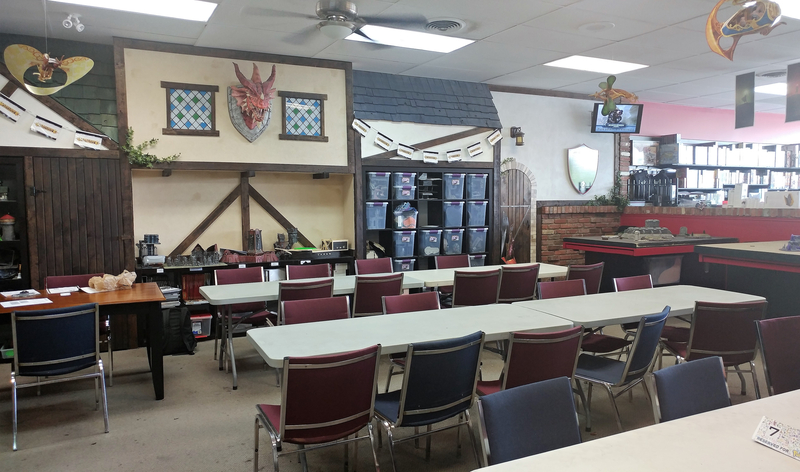 Black Knight Games is on the corner of Mohawk Rd E and Upper Ottawa St in a section of Hamilton known as ‘The Mountain.’ They have been running for close to 8 years and have a wide selection of board games, miniatures games, and role playing game supplies. As they are on the more spread out Mountain, they also offer free parking and are close to transit lines as well. 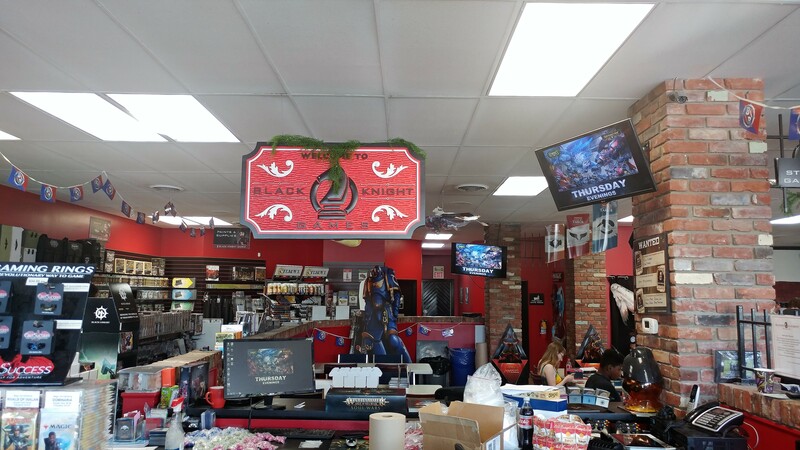 It’s hard not to gush about Black Knight Games (BKG) because they do almost everything that a local gaming store wants to do – and they do it right. They charge no admission to play at their large gaming space and there is no time limit to play – short of how long you can subsist on snacks such as candy bars, water, and soda (all available at the front for purchase). The space is intelligently decorated and feels homey right from getting in the door. Beyond the main gaming space is a small, private room that doubles as a getaway for board gamers and those interested in role-playing games to avoid any distractions from miniature gamers. The area is bookable and free, but is in high demand. They have an active Facebook page where they quickly answer questions, and an active Twitter. All posts seem to be around getting people together to play games which aligns perfectly with what Where2Game is all about! Their staff are friendly, helpful, and patient for any gaming or program questions you may have. They even offer day camps and a league for youth to teach games and make friends in their community. I would say that overall BKG also is the most accessible gaming spot in Hamilton as of writing. There is little resistance to physical accessibility issues, hearing or sight concerns, or mental health concerns. It seems that BKG wants all people to game there, which is great. To go above and beyond, automatic door openers would ease the double door entry system they have, and universal washrooms would be great to see as well.